Perfectly functioning fire and smoke protection doors are an indispensable requirement for preventing or limiting damage. Especially in the case of hinged doors, the high heat of a fire might cause the door to distort. This could produce a dangerous gap through which the fire could spread further, in spite of the fire protection door. 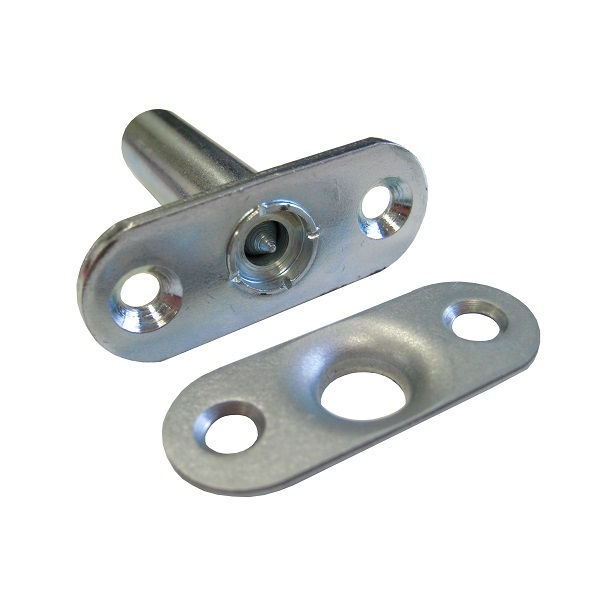 The Hot-Locking-Safe thermal bolting offers protection for life and material in a simple and unobtrusive way. 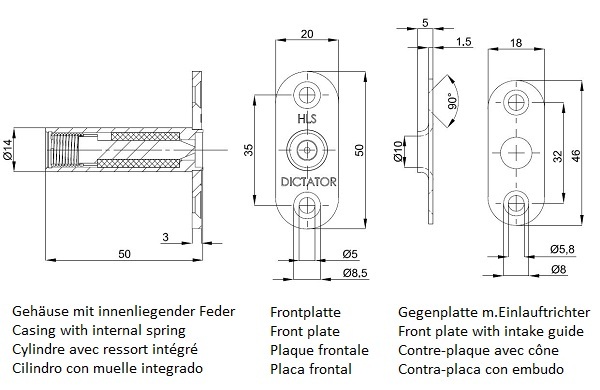 The thermal bolting is installed in the frame or the door at those places where there is the highest danger that a gap might occur. Normally the bolt is retracted in the casing and locked there by the soldered strut. Only when the surrounding temperature rises to about 600 °C and the HLS itself has reached about 65 °C, the soldered strut melts and the spring in the back of the cylinder can push out the bolt. 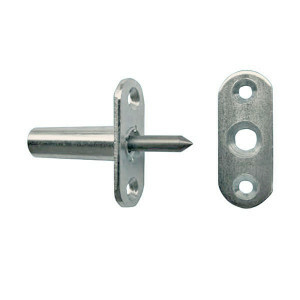 This fixes the door securely to the frame and the door leaf cannot be distorted. 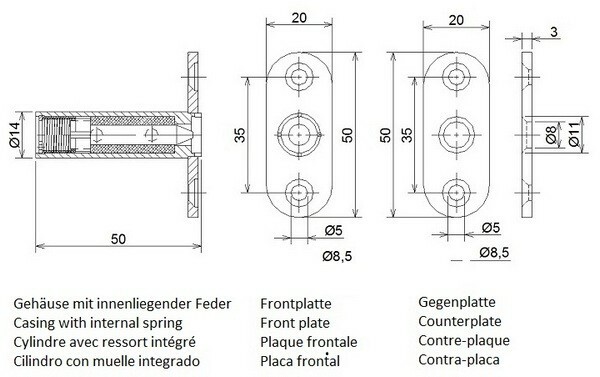 Standard version (upper picture): the counter plate features just a countersunk bore as intake for the bolting pin. 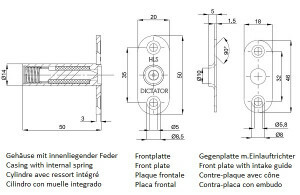 Version for doors which distort more easily (adjoining picture): here the bore in the counter plate is moulded as a funnel to enable the locking pin to easily enter the boring in the counter plate, even when the door has already deformed a little. 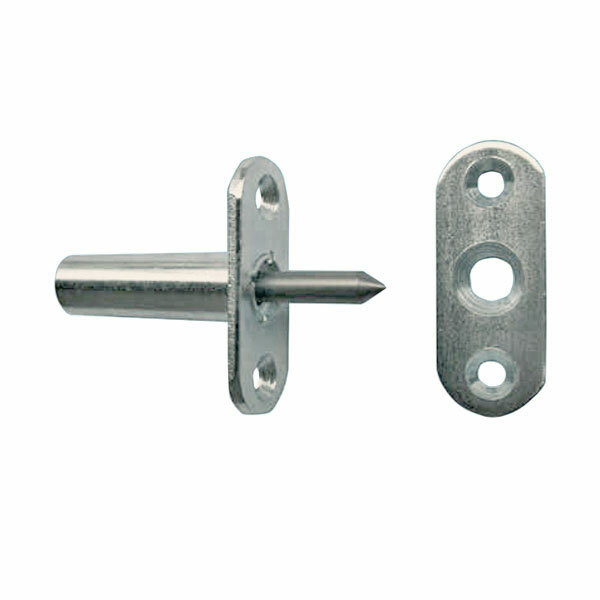 IMPORTANT: The HLS thermal bolting may only be installed in accordance with the respective door manufacturer. Usually the HLS thermal bolting is installed in the frame. However, it is also possible to fit it into the door leaf. 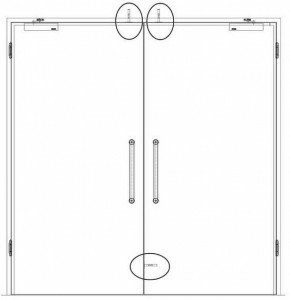 The number and position have to be decided upon together with the door manufacturer. 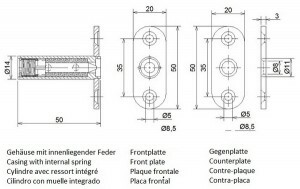 It is very important that both HLS thermal bolting and its counter plate are mounted exactly opposite each other.